Exposure to black mold can cause serious health complications. Most people are aware that the toxins produced from black mold can cause symptoms such as coughing and sneezing, however, many people are unaware that black mold can be linked to dental issues. The toxic substance produced by black mold, known as mycotoxin, is what causes additional health issues beyond those caused by inhalation of mold spores. Here at TeethNow, we care about the overall health of our patients and provide them with the best possible treatment options. In order to treat our patients properly, it is essential to know the circumstances of each case. With that being said, it is important to educate yourself on the effects mold exposure can have on your overall health, as well as your oral health. Let us unfold some important information and helpful tips about black mold and the effects it has on the human body. Black mold is a type of fungus that is formed by several species of fungi that have a black or green appearance. These molds develops in warm, moist areas, including bathtubs, showers, kitchens, and basements. Many black molds release toxins that can be irritating or extremely harmful to the human body. When mold spores manifest and create colonies with other spores, they produce what is called mycotoxins. Mycotoxins affect the upper respiratory system and cause flu or cold-like related symptoms. People living in homes that have toxic black mold are exposed mainly through breathing in the mold spores and mycotoxins. Breathing in large amounts of these substances can cause irritation in the airways, such as the mouth, throat and nasal cavity. How Can I Identify Black Mold In My Home? At times, black mold may not be visible because it grows in dark, hidden, and humid places. That is why the odor is oftentimes the first sign. Mold produces a unique smell that can help identify if you have mold, without even seeing it. Searching for bundles of black growths, especially in moist, warm areas in your home. Even if you do not spot clusters of black mold, notice if you begin coughing, wheezing, or sneezing when entering a room. Search for causes of black mold growth, such as any leaks, papers, old food, or poor ventilation. Discard anything that has been affected by mold or contributes to the growth of mold. Along with the common symptoms caused by black mold, dental issues, like bleeding gums, can also be a symptom of mold exposure. Oftentimes, people just believe they are practicing poor oral hygiene and would not think to relate their bleeding gums to black mold. 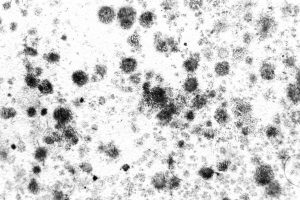 Mold multiples in the form of spores, which are microscopic and difficult to see with the naked eye. These spores and the toxic substance they produce, mycotoxins, are responsible for the dental issues related to mold exposure. When inhaled, the spores become trapped in the mucus that lines the throat, nasal cavity and sinuses. It is the mycotoxins produced by black mold that irritates the membranes in the mucus, which triggers extreme sensitivity and bleeding gums. Also, the upper respiratory issues mentioned before causes individuals to breathe mainly from their mouth. Breathing continuously through your mouth can be damaging to your teeth. Breathing through your mouth dries it out and decreases the production of saliva. Saliva is essential for washing away food particles and neutralizing the acids in the mouth. Therefore, without sufficient amounts of saliva, tooth decay and cavities may occur. Now that we have established the link between mold exposure and dental issues, it is important to be aware of your treatment options. Our periodontists at TeethNow are experienced in treating periodontal disease. If your gums bleed excessively while brushing or flossing or if your tooth is decayed, we can help. We offer several dental implant and periodontal care treatment options to resolve your specific case. Call (877) 440- 6579 to schedule your complimentary consultation.